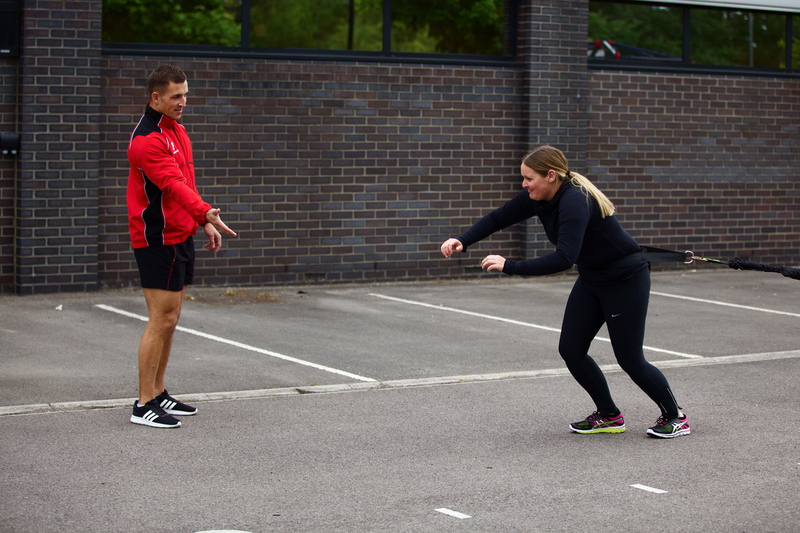 I’m in love with this sort of training, it’s outdoors, it’s explosive, high energy and you still have a fitness trainer over seeing your form. 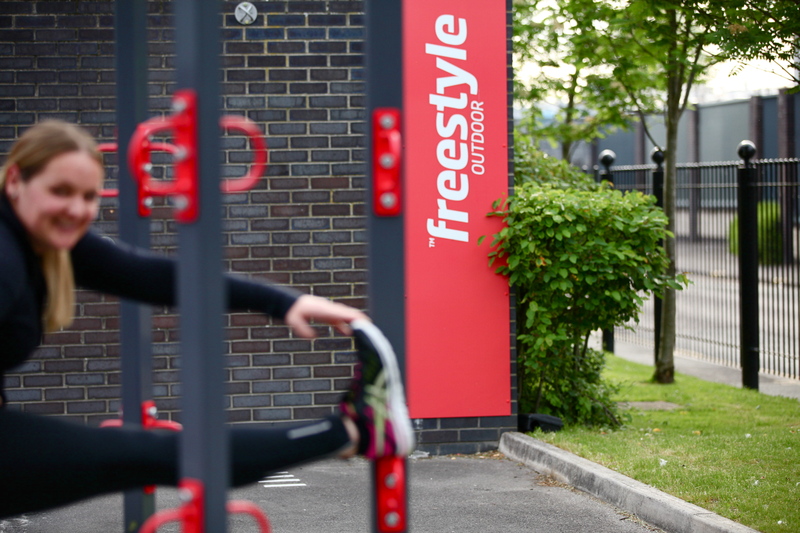 Fitness First has started Outdoor Freestyle Training for the summer months here in the UK and I’m in love with it. 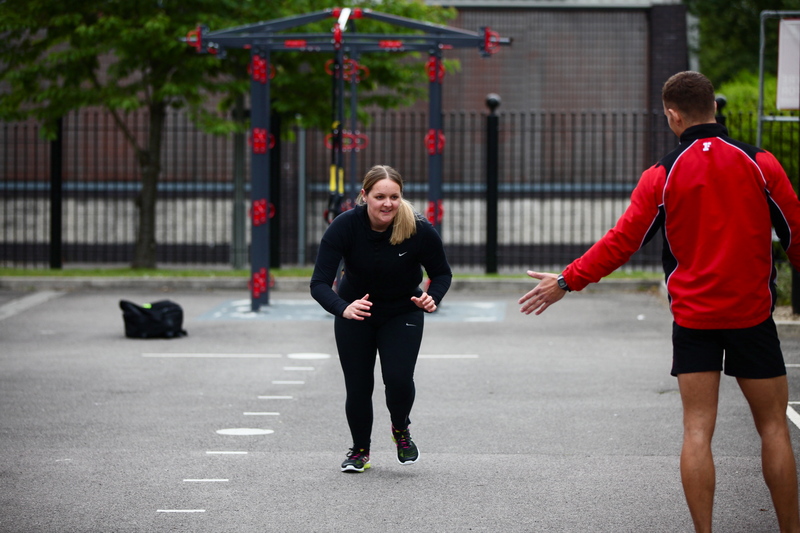 It’s a 30 minute intensive class run by a gym instructor. 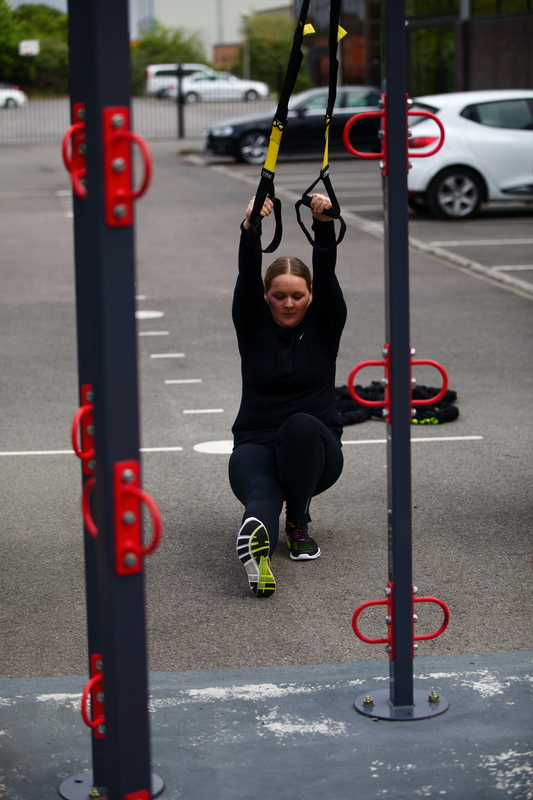 You use the TRX equipment and the Gun-ex power rope along with body weight exercises. 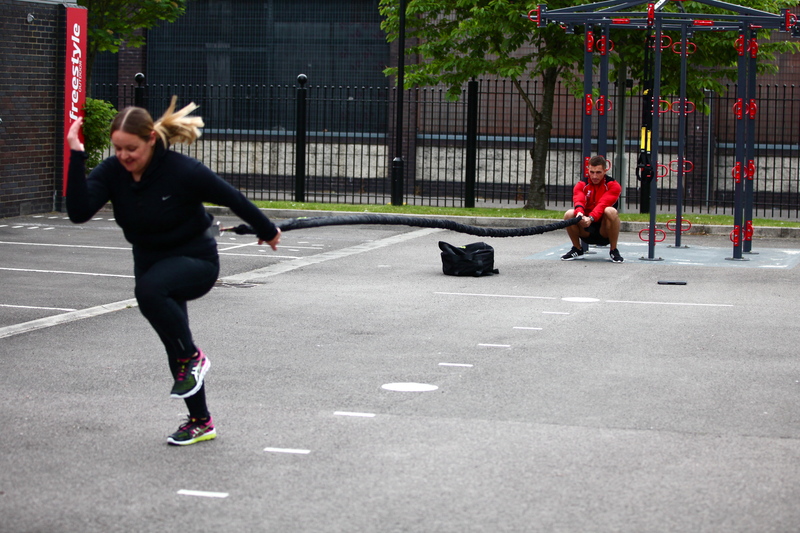 It’s a total body workout that is programmed by the instructor so you never know what will be in the class. Great way to get your summer beach body. Also offered is an indoor alternative, see my future blog on this. 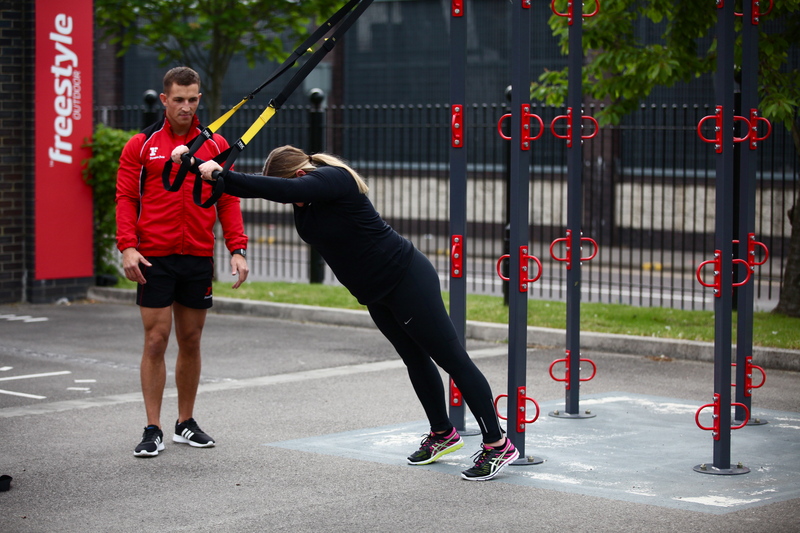 Find you local class at http://www.fitnessfirst.co.uk and enjoy! 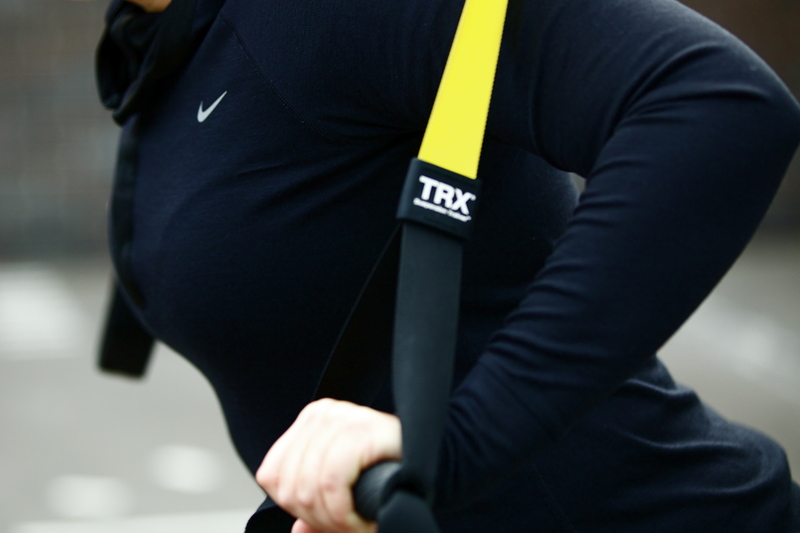 TRX stands for Total-body Resistance Exercise. 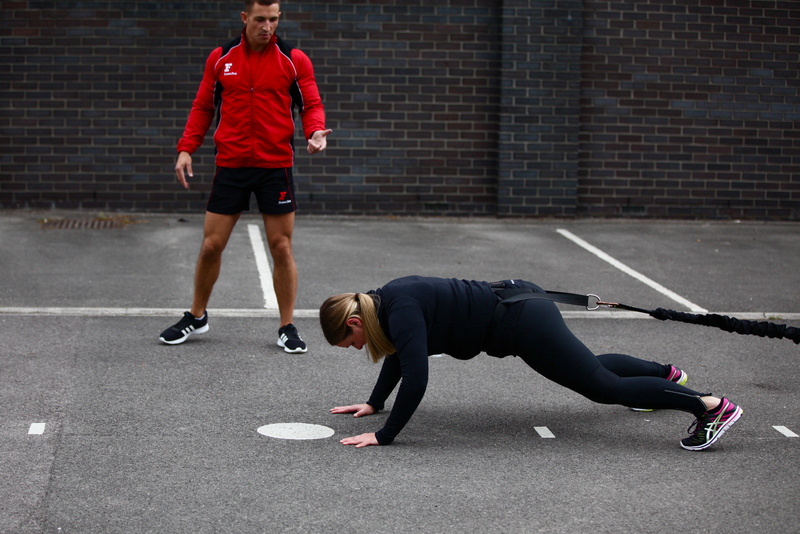 It’s very effective for your core, a full body workout and assist with flexibility. 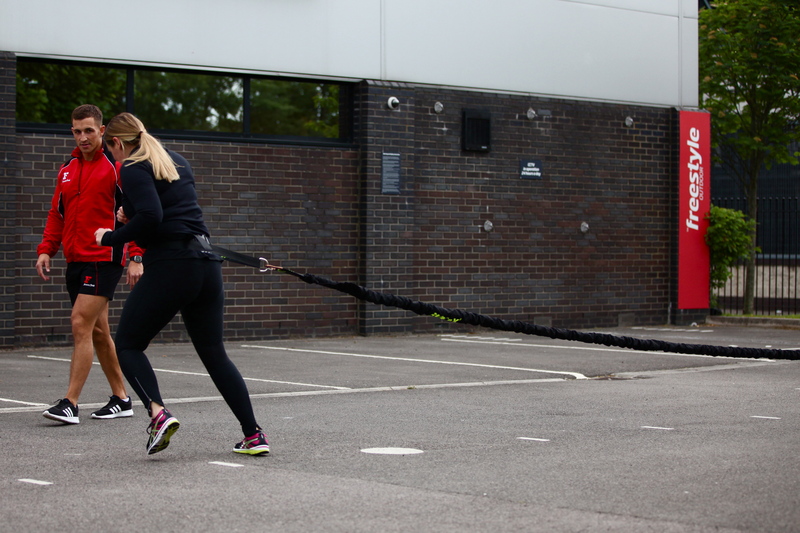 A great piece of versatile kit. 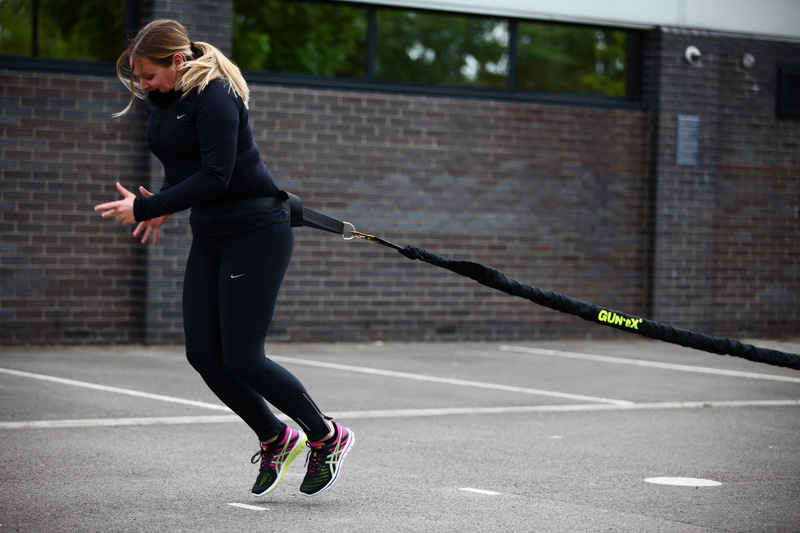 Gun-ex is an elastic power rope (similar to a bungy) designed for whole body training. Big Thank you to Louis and the crew at Fitness First for organizing our visit and to James for taking me through the workout. 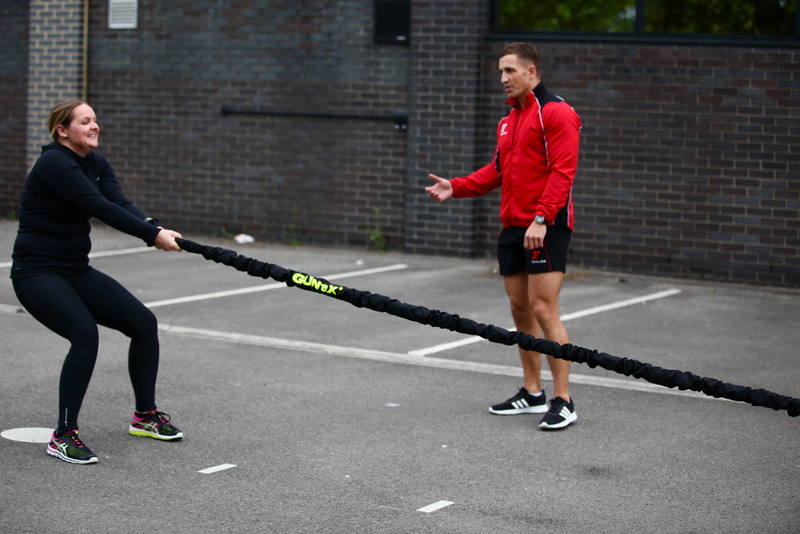 My merino wool Nike running hoodie a great extra layer no matter what your activity. 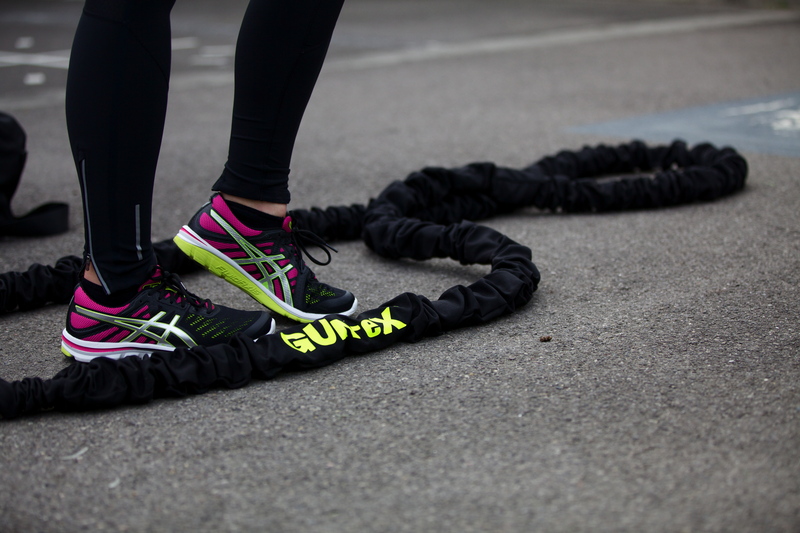 And my new Asics trainers a great all round shoe for multi functional training. Mine are last seasons. Thanks Megs, have a great day!